2017 Foals - All consigned to the Fall Classic Sale. Everyone is welcome to come meet them prior to the sale! Stunning filly with winning bloodlines! Lot #26 roudly consigned to the Fall Classic Sale October 7th and 8th in Red Deer. Lot #13 at the Fall Classic Sale. This filly has it all! Lot #37 at the Fall Classic Sale. Stunning colt with fantastic gaits! 2013 mare by Regardez out of an Ikoon mare. Lot #23 available for on farm trial and x-rays can be sent to your vet for their opinion! 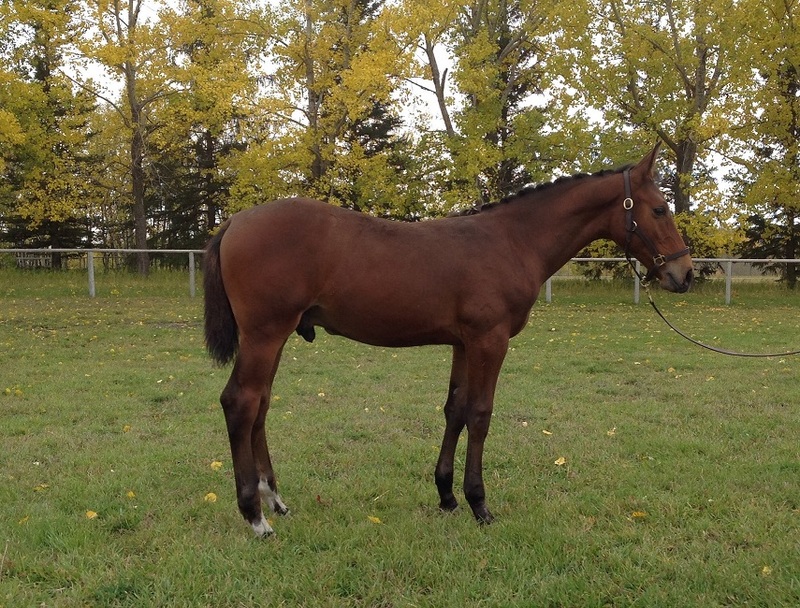 2015 mare by Regardez out of a Cunningham mare. Lot #2. This mare is available for on farm tryouts and her x-rays are ready to be sent to your vet for consultation! Lot #35 at the Fall Classic Sale October 8th and 9th, 2016 in Red Deer, Alberta. Cathal – ‘Invincible in battle’ An irresistible colt with strong confirmation and solid bone. He was built for sport with an impressive future in any ring as a strong possibility. This charming youngster shows powerful gaits with excellent elasticity. Pedigree to impress, Cathal is one to watch in the future! Lot #25 at the Fall Classic Sale October 8th and 9th, 2016 in Red Deer, Alberta. Lot #25 at the Fall Classic Sale October 8th and 9th in Red Deer, Alberta. 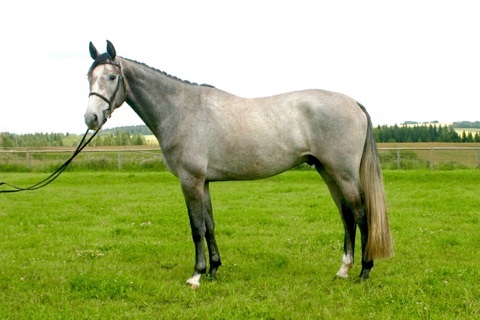 This stunning grey gelding has beautiful ground covering gaits creating a magnificent presence. Independence has been a delight to work with thus far. His confident nature allows his ‘no fuss no muss’ personality to shine through. His aptitude for the jumping chute combined with his movement is sure to create a 4-year- old turning heads. Lot # 1 at the Fall Classic Breeders Sale in Red Deer, Alberta on October 8th and 9th, 2016. This bold, confident competition horse oozes potential to go far as a three ring horse. He began his 2016 competition season indoors at Spruce Meadows with top placings. Grigio went on to the Royal Manitoba Winter Fair winning Champion 5 year old Canadian Sport Horse. He now has many outdoor competitions under his belt including 2 successful weeks at Milner Downs. Here he had excellent jumper ring placings and finished in the ribbons in the $5,000.00 Canadian Hunter Derby Series competition. Grigio is ready to take his new junior or amateur rider to the winner’s circle! Lot # 29 at the Fall Classic Breeders Sale in Red Deer, Alberta on October 8th and 9th, 2016. Tall, bay and handsome! Eye catching 17.2 hh gelding with fabulous chrome. Peter Parker displays excellent technique, scope to spare and plenty of step. His sport record has grown throughout the competition season from Equi-Cup Series to Milner Downs with winning rounds in both the jumper and hunter rings. Peter Parker is well suited to transition seamlessly between the jumper, equitation and hunter rings with potential to go far in all rings! Lot #7 ath the Fall Classic Sale in Red Deer, Alberta on October 8th and 9th, 2016. 3 Competitions 3 Championships! Red Dawn is impressive in the competition ring recently winning the Colin Crone Memorial Award at Amberlea Meadows Gold Show for the 2 highest technical scores. 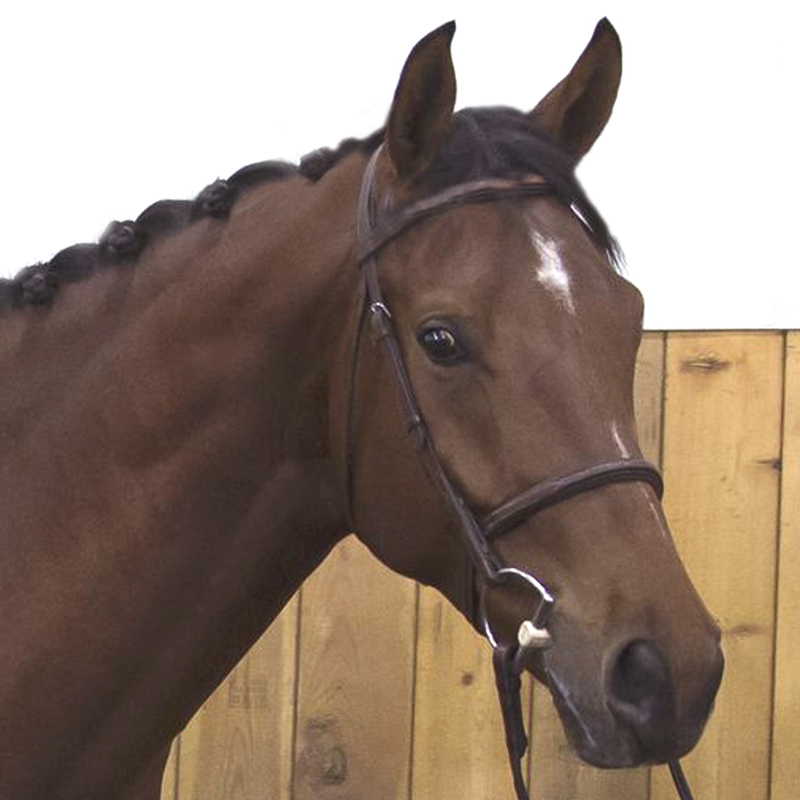 A beautiful 16.2hh dark bay mare who succeeds in both dressage and jumping disciplines, Red Dawn is straight forward to ride with three lovely expressive gaits. The judge’s comments continue to be very positive. In the jumping ring she is brave and capable and always happy to help the rider. Her inquisitive nature and excellent ground manners make her a barn favorite. Red Dawn is a well rounded mount for anyone to go forward into sport with. 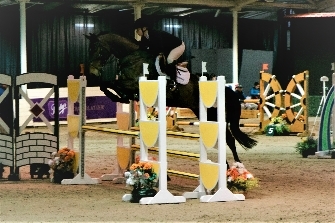 2009 CSH bay gelding. This confident 5 year old could become the next great Derby horse, following in his sire's footsteps. He will also be a stunning equitation horse who at 5 already has a solid counter canter, changes, and jumps around the 1.10m with ease.